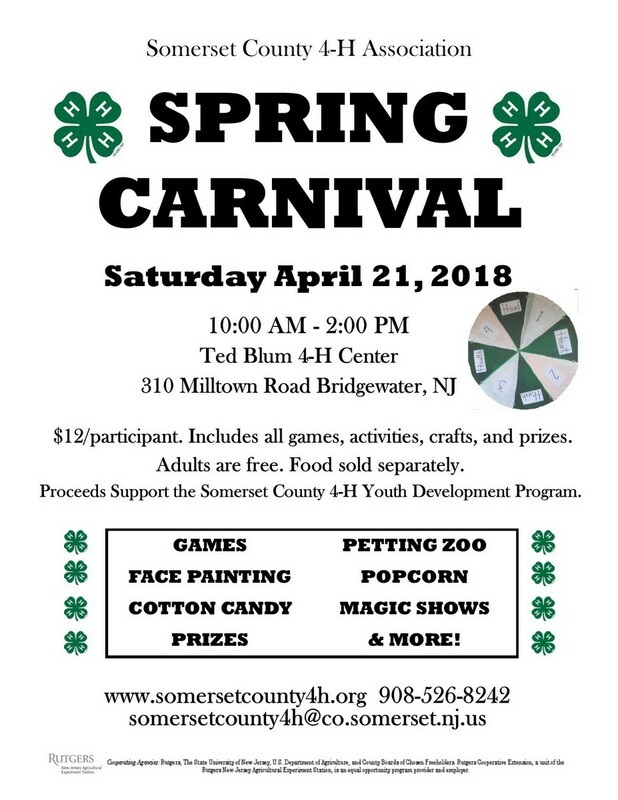 The Somerset County 4-H Association is pleased to announce its third annual 4-H Spring Carnival. The community is invited to attend. The carnival will have games, music, prizes, face painting, a petting zoo, magic shows, and more. Admission is $12/participant which includes unlimited games and activities. Adults are free. Food – including hot dogs, walking tacos, cotton candy, popcorn, and bubble tea- will be available for purchase. 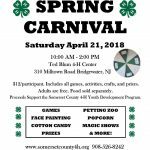 Proceeds will support the Somerset County 4-H Youth Development Program.